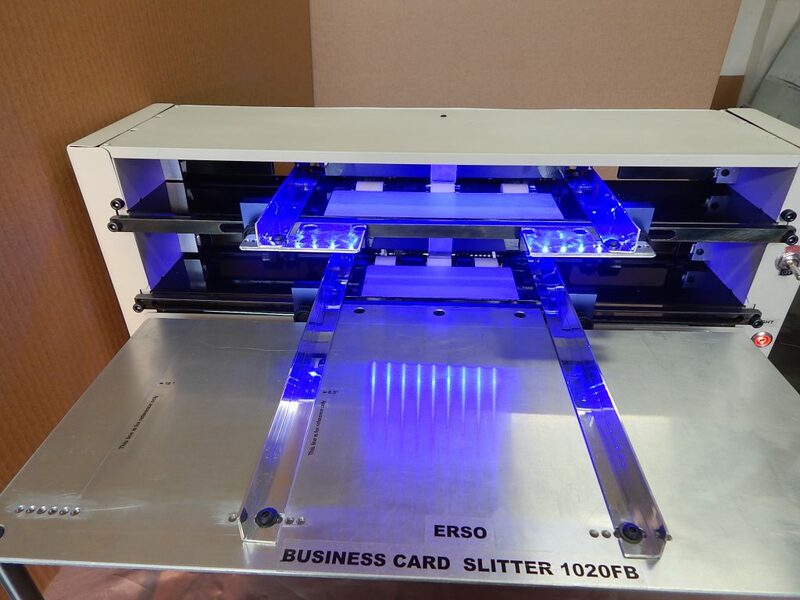 ERSO 1020 FB Full Bleed Business Card Slitter is for stock sizes: 8.5″x 11″, 11″x 17″, 12″ x 18″. 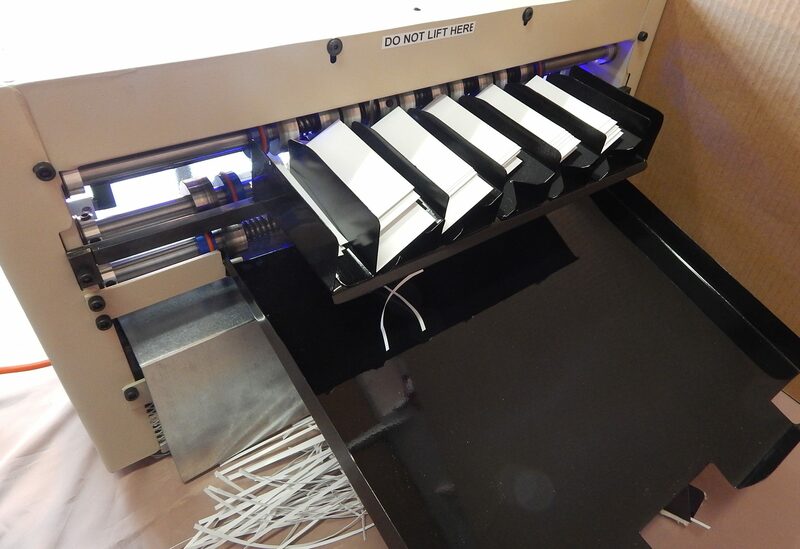 This slitter is used to cut full color business cards with gutters 1/8″-0.125 (gap 1/4″-0.25 available) between each of the cards and accommodates three different stock sizes with minimum time for a change of stock. Business Card Slitter Full Bleed 1020FB allows you to produce 10 full color business card (from stock 8.5″x 11″) or 20 full color business cards (from stock 11″x 17″ and 12″ x 18″) per sheet with a simple two-pass operation and a short time to reset guides. First pass cuts a sheet into 3.5″ strips with a 0.125″ (1/8″) gutter between the strips, and then second pass cross cuts these strips down to finished 2″ x 3.5″ cards with a 0.125″ (1/8″) gutter between the cards.